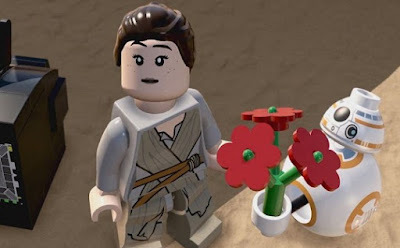 In LEGO Star Wars: The Force Awakens, If you want to customize or change the appearance of your Star Wars mini Lego figures, then that is no problem. There are special places in the game where you can make a character customization. These are just around nodes that you enter during the game. However, you still need to unlock them. Here’s the step-by-step guide to change the appearance of your hero in LEGO Star Wars: The Force Awakens. - Go to the resistance base on D'Qar (either it is feasible in other bases). - There, visit the medical center. - Climb to one of the large tubes which are located in the back of the room. - Now you can select the different parts for your LEGO figurine - legs, waist, body, arms, hands, head and helmet. - Now you can change the appearance. Here you can select only the parts that you have unlocked. - Finally, you must still select a weapon. But this is also geared to the skills that your LEGO Star Wars hero has. - You have at this point even the ability to change your character's name. - At the end you just have to confirm the changes. The character customization is purely cosmetic. So you can select all, as you like it. Now if you immersed with your hero in the free play, then you can directly test your person times. Incidentally, there are even some cheat codes and other codes that you can use in LEGO Star Wars: TFA to simplify your gameplay a little.